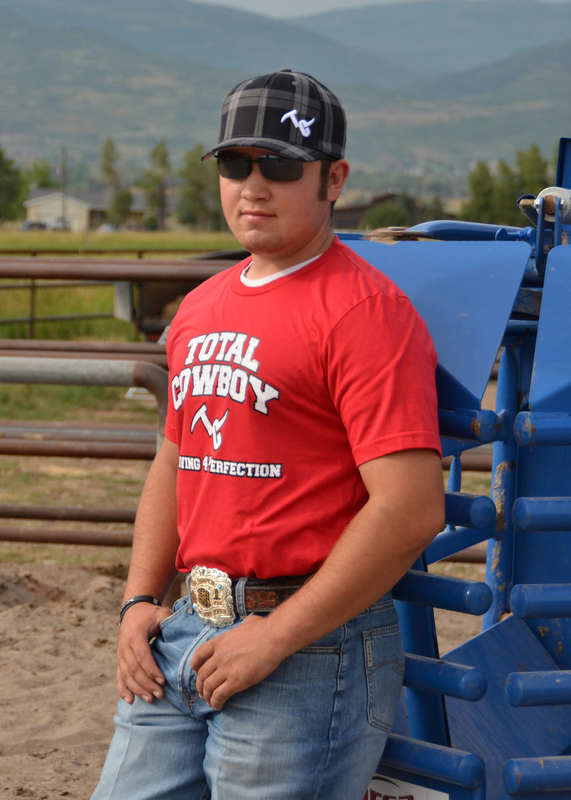 The Total Cowboy is an apparel and rodeo gear company owned by Todd and Kaci Kelly of Midway, UT. Todd and Kaci wanted to design a company that encompassed the Rodeo World, yet was modern enough in styling for the general public. Todd is the graphic designer behind all of The Total Cowboy products! The Total Cowboy has adopted the slogan, STRIVING 4 PERFECTION. Shown below is a small sampling of apparel and gear The Total Cowboy has to offer! Ryder Wright. Son of 2 time World Champion Saddle Bronc Rider Cody Wright of Milford Utah. Ryder is a 3 time National High School Finals qualifier in the Saddle Bronc Riding, 2014 Utah High School Rodeo Association All Around Cowboy. 2014 State Champion Bull Rider, 2015 State Champion Saddle Bronc Rider. Addy Haviland from Avon, Utah. She is a 2014 National High School Finals Qualifier in the Team Roping. 2015 SSIR All-Around Cowgirl, 2013-2014 Utah High School Rodeo Student Vice President. 2014-2015 Utah High School Rodeo Student President. She is wearing The Total Cowboy Women's "Striving 4 Perfection" Tshirt- the back of the T-shirt features The Total Cowboy Motto! She is also wearing the "Rowdy" hat. The Total Cowboy bull fighting jerseys are custom designed by Todd Kelly. They come in any color, various placement of TC logo, and can include your name or initials. Email todd@thetotalcowboy.com for more information. Professional Team Roper, Matthew Pineda, and his wife, Reagan, from Marion, Utah. Visit the Total Cowboy Facebook page to find out when they will be at an event near you, or, SHOP NOW on their website!